It is not possible to obtain Official Certificates in the United States. The equivalent to the Finnish Official Certificate in the United States is an affidavit. The affidavit can be issued by someone who is known to be a relative, friend or acquaintance of the person in question, who can be located and who is able and willing to validate the information. In this case, a relative, friend or acquaintance that knows well aforementioned person is asked to see a Notary Public to testify to the family tree. Testifying is voluntary, and the testifying person may wish to know more about how they are involved in the matter. In the United States, the regulations concerning foreign driving licenses are defined state by state. In order to support your Finnish driving license, it is recommended to hold a translation of the driving license or an international driving license (in accordance with the Geneva 1949 Traffic Agreement), as these may be required when you are stopped by police, if you have an accident, or when you are renting a car. Documents are issued by the Automobile and Touring Club of Finland (Autoliitto). Foreign nationals permanently living in the United States should acquire a local driving license. Further information can be obtained from the competent local authority and from the United States Embassy in Finland. If your Finnish driving license is stolen, lost or is damaged abroad, you can apply for a duplicate driving license from the Police station of last place of residence in Finland. The Finnish diplomatic missions do not issue driving licenses, nor do they process applications. The signature required for a renewal application driving license application form can be authenticated by a notary at the Finnish mission in the United States (for a fee, see the service fees). You must submit the application form, photographs, a copy of the identity document and other required documents (e.g. police report) to the Finnish Police. All the details relating to the renewal of a driving license, such as payment, processing and collecting/delivery must be agreed directly with the Police. In some cases, (e.g. car rentals), a driving license extract issued by the Finnish Transport Safety Agency (Trafi) is accepted as a valid proof of the right to drive. It is possible to request an English driving license extract to be delivered to a foreign address: the order must be made on Suomi.fi by logging in with the Finnish bank ID (keyword: driving license request). If you don’t have a Finnish bank ID, please contact Trafi. The Finnish foreign missions have no jurisdiction to issue a license to drive. Under the Finnish law, every Finnish man needs to complete compulsory military service. This civic duty (as defined in Section 1 of the Act on Conscription) takes effect at the beginning of the year in which the man reaches the age of 18 and continues until the end of the year when he turns 60. Military or civilian service is carried out at the age of 18-29. Women may also complete a voluntary military service. The call-ups are held yearly between August and November and concern all Finnish males who turn 18 during that particular year. The conscript must ensure that his address and citizenship information is updated in the Finnish Population Register, as the letter and the information package about the time and place of the call-up is sent to his home address. Failure to report at the call-up without a legitimate reason is a criminal offense punishable according to the Finnish Conscript Act. Only the Regional Office of the Finnish Defense Forces may grant a permission for absence or deferment. The call-up duty may be processed either through a Regional Office in Finland or via a Finnish diplomatic mission. If you are a dual citizen, you are exempted from completing the compulsory military service in Finland (as per the agreement 25/1939 concluded between Finland and the United States). As a person holding a dual Finnish-American citizenship, living permanently in the United States, you may, however, be required to do military service if you move to Finland before the end of the year in which you reach the age of 30 (Section 75 of the Conscription Act). As a dual citizen, you must ensure that your dual citizenship is listed in the Finnish Population Register. You can check that your information is up to date from the Local Register Office. Inquiries about car import and export are answered in Finland by Tulli or the U.S. Embassy and in the United States by the U.S. Customs and Border Protection office. Information on bringing pets to Finland is available on the webpage Evira. The site lists the requirements for the EU pet passports, identification marks, anti-rabies vaccination, echinococcal medication as well as the approved border crossings. The conditions for exporting pets are determined by the authority in the country of destination (i.e. USA). For more information about the U.S. regulations, please visit the websites of the US Department of Agriculture or the United States Embassy in Finland. Finland does not set conditions for exporting pets. 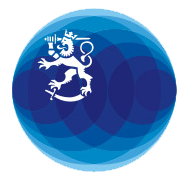 Civic Counseling is an advisory service for Finland's public services. The purpose of the service is to help citizens to find the right authority or electronic service for dealing with their affairs, as well as to answer general questions about public services in Finland. Contact: Public Service Info. Finnish diplomatic missions do not provide translations or interpretations. The Embassy and the Consulates General are not responsible for the service content provided by external agents. The Finnish foreign missions have no legal obligation to deal with lost and found items. For items left in the airplanes, trains or buses, you can contact the relevant transport’s Lost and Found service. Valid official Finnish documents, such as passports, identity cards and driving licenses, are returned to the authorities that have granted the documents. As a rule, other lost items are not delivered. The “No-objection” statement of J-1 visas can be obtained as a notarial certificate from the Embassy of Finland in Washington D.C. The document states that Finland does not object to releasing a visa applicant of a two-year foreign residence requirement of Section 212 (e) of the Immigration and Nationality Act. The following documents are required for a statement: a notarized copy of the person's passport ID page, a notarized copy of the person's US visa (J1), address of the applicant, a statement of reason, case file number acquired from the State Department, and a service fee. The Embassy sends the statement to the Waiver Review Division of the Visa Services of the U.S. State Department which sends the references directly to the U.S. Citizenship and Immigration Services (USCIS) for the decision making. USCIS informs the applicant in writing. More information: US Department of State. If you have received a fine or a ticket in the United States, it is recommended to be paid in order to avoid any possible consequences (e.g. next entry to the United States). The fine’s payment order usually contains the contact details of the court to which the fine can be paid either online or by phone. Payment methods of the fines may vary by state. The Finnish diplomatic missions do not deal with fines imposed on individuals. Additional information can be obtained from the competent authorities: a local authority or the United States Embassy in Finland. In case of potential problems, please contact an attorney. Most of the Finnish social security is dependent on the place of residence. Usually, being covered by Kela's social security is subject to the applicant's living permanently in Finland. According to the Finnish law, being covered by social security does not depend on nationality. Additional information can be obtained from Kela. Please contact the Finnish Customs Office (Tulli) if you have questions about importing removal goods to Finland or restrictions related to exporting goods from Finland. For information on moving goods to the United States, please contact your local authority in the U.S.: U.S. Customs and Border Protection. For information regarding the Finnish taxation, please contact Verohallinto.